I love this story, by former Apple employee Joe Moreno, concerning the Apple’s iconic upside down logo on older laptop lids. I’m proud to state, here fore the record, that I liked seeing the Apple logo the right way up as I fondled my pride and joy. I didn’t concern myself with the notion that the Apple logo would now appear upside down to anyone looking over in my general vicinity. All that mattered to me was this pure white Apple logo—remember that this was in the very early days of the monochromatic Apple logo—set against the wonderfully tactile finish of the Apple Macintosh PowerBook G3 laptop appeared the right way to me. I don’t think Apple were so odd to have wanted the Apple logo in this way. I don’t think it was wrong at all, from a purely selfish don’t invade my personal space perspective, to want the iconic Apple logo to be the right way up when you opened your exceedingly expensive Apple laptop. Also bear in mind this was the laptop evolution for Apple, and I was personally besotted with this horrendously heavy Macintosh. When you spend that/this sort of money I would rather have it look right for me, and not a nosy/admiring onlooker. 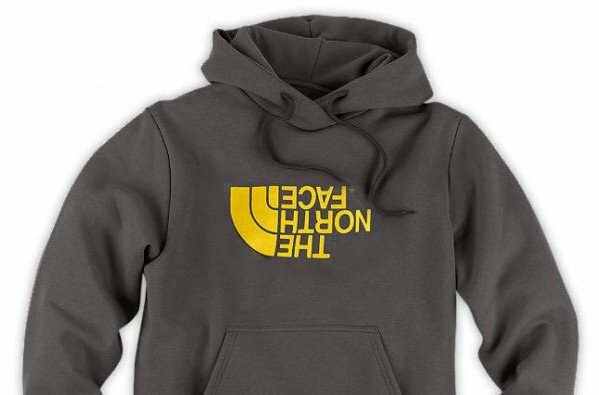 Whilst on the subject of what works for me, I would also like the NorthFace logo, on my new hoody, to look the right way up as well. Seeing the Apple logo the right way up was all part of the Apple experience and pride of ownership of an Apple laptop. I do recall caressing the Lombard’s lid whilst simultaneously trying to wipe off my oily fingerprints with a t-shirt. I don’t think my particular aesthetic would have allowed for an upside down Apple logo experience. Skip a few centuries and I am now used to the purity of the monochrome Apple logo as well as not considering it to be so precious. Thus I am happy for the Apple logo to practice it’s siren ways on any admiring onlookers. However, it is funny now seeing some older movies that have a Apple laptop with the upside down logo. Found this gorgeous photographs of a Macintosh PowerBook G3 on Damian Ward’s Flickr stream.